Download RRB ALP, Technician 2018 Admit Card for 13th August CBT exam. - Jobs4NE : Jobs in Assam and North East India. Download RRB ALP, Technician 2018 Admit Card for 13th August CBT exam. The Railway Recruitment Board of India has activated the links to download Group D Admit Card for RRB Assistant Loco Pilot & Technician on Thursday, August 9, 2018, for the exam to be held on August 13, 2018. The admit card for the 1st stage Computer Based Test (CBT) will be released four days prior to the scheduled exam date. 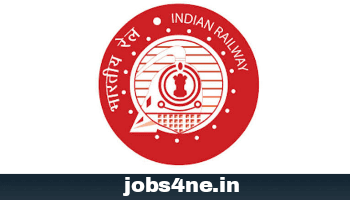 The candidates can download the RRB ALP & Technician Admit Card and RRB Group D Admit Card from the official website - http://indianrail.gov.in/ . RRB would be conducting the First Stage CBT for RRB ALP & Technician Recruitment 2018 from August 9 to August 31, 2018. The exam for ALP & Technician is slated to be held on August 9, 10, 13, 14, 17, 20, 21, 29, 30 and 31, 2018. STEPS TO DOWNLOAD RRB ALP & TECHNICIAN ADMIT CARD 2018. 2) Click on the Download RRB ALP Admit Card 2018 link. A new window would open. 3) Enter your registration number and date of birth to access your account. 4) In your account, click on Admit Card and then click on print option.